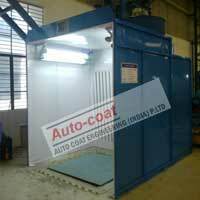 Autocoat Engineering is specialized in the manufacture of all kind of Paint Booth and painting booths. Featuring various booth models and specializing in custom designs for unique Paint Booth applications, our flexible, state-of-the-art Paint Booths may be used for production Batch finishing as well as high production finishing on a Large Conveyor Line. 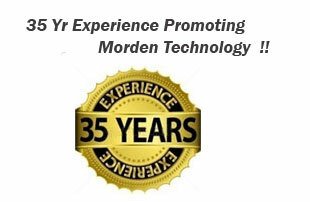 PAINT BOOTH has been advocated through out industry as the most efficient method of filtering paint over spray. At the same time Paint Booth effectively prevents over spray to reaching the surrounding area. Paint Booth are used to increase efficiency of operator, reduce dust problems, reduce over spray problems, paint dust, increase corrosion resistance of the product to be painted. Paint booth also plays a big role in removal of waste spray paint and the sludge formed by it. 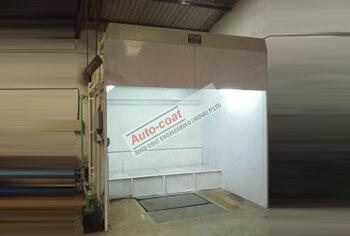 Paint Booth helps in adding value to the final product, as it is the last operation in queue. Products painted from a clean paint booth normally have a higher commercial value than painted in open area. Paint booth is the only equipment by which operator health problems can be avoided .Use of masks in the paint booth also improves operator health. With the vast experience of Autocoat Engineering in the field of paint, Painting Booths, Painting Plants, Curing Ovens, Continuous Production Plants, Pretreatment Plants all above painting related problems can be solved, and a customized way of handling different products can be incorporated. Paint booth is used for painting components. 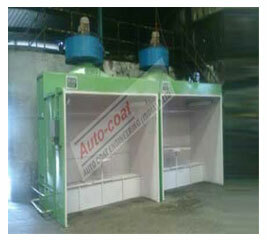 These are of two types Side Draft Paint Booth (Water Paint Booth & Dry Paint Booth) and Down Draft Paint Booth. 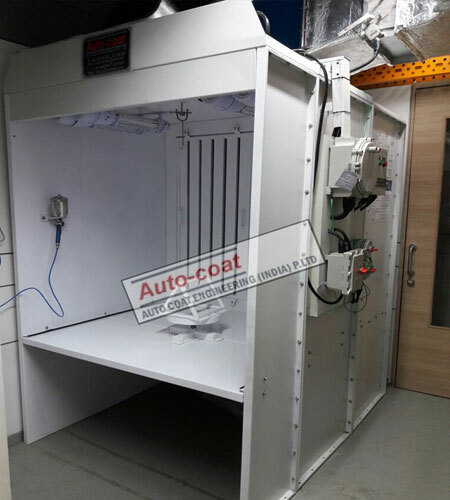 Side draft water Paint Booth is useful for small or lightweight components, where painting is done standing in one position. For heavy components, down draft water wash Paint Booth are useful. In this booth, the operator can paint the job by moving all around it. 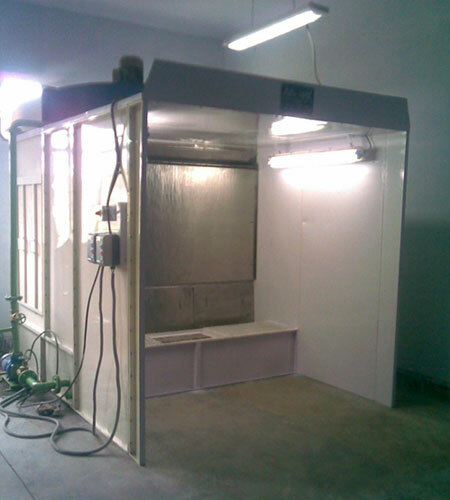 These Paint Booth have the following features: adequate exhaust resulting in effective removal of over spray paint particles and avoid settling on wet painted surface; provides clean air to the operator; and washing action minimizes escape of paint along with exhaust air thus eliminating surrounding pollution and also elimination of fire risk. 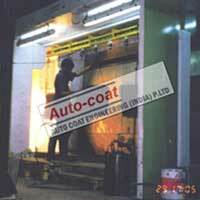 Autocoat Engineering is the most experienced Paint Booth Manufacturer since last 35 years in India. 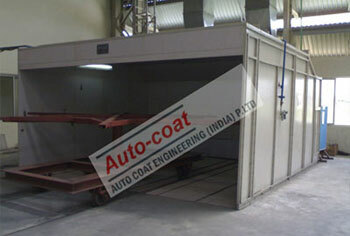 Autocoat Engineering have been manufacturing superior quality Paint Booth among other valuable products .We have wide experience of manufacturing paint Booth with different material handling and different product size , and different production volume.